If you want to cast your vote in the 29th annual GamesMaster Golden Joystick awards, run by TechRadar parent Future Publishing, then you now can. The awards ceremony sees the great and the good (and, hilariously, the haplessly worse-for-wear) in the UK's games industry come together every October to celebrate the year's best games, developers, publishers and new gaming tech of the year. With 14 categories to vote in, this year's Golden Joystick Awards also sees new awards for downloadable, mobile and free-to-play games. Last year saw over 1.5 million votes cast in the 2010 Golden Joysticks, with Mass Effect 2 named Ultimate Game Of The Year and RuneScape studio Jagex awarded UK Developer Of The Year. "The shortlist features huge sequels living up to the hype, new IP establishing itself, and incredible innovation and creativity wherever you look," says GamesMaster editor Robin Always. "There could be some major upsets when the winners are announced." 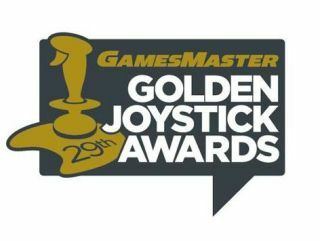 Voting is live now at www.goldenjoystick.com. Voters who participate in all 14 public categories are in with a chance of winning the GamesMaster Ultimate Gaming Prize - including consoles and many of the award-nominated games.